This is the follow-up Alien Abduction deserved. I knew something was up when Cecily wasn't sitting beside Kate this time. 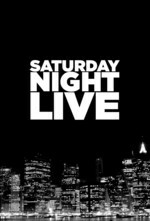 Apparently the Avatar font has been bothering SNL writer Julio Torres for a while. I assume Alien Abduction was specifically written to have Ryan facing away from the camera when he inevitably broke. The pre-made meme with TFW Angela Merkel was amusing but also depressing at the same time. Also I absolutely love corpsing, so every time Ryan Gosling broke I looked like this 😍. Finally, what the heck was up with the lack of Leslie? Shameful. I fell asleep sometime before the 2nd Jay-Z, but it may not have been their fault. Levi's Woke was good! Aidy's great, but either she and/or the writers couldn't/chose not to try to capture SHS's sheer visceral contempt for everyone and everything. Che got some really good lines. The Terrezano's sketch reminded me of the much better Chris Farley Folger's Crystals sketch. paper chromatographologist: I was thinking of that throughout the sketch, but still liked it. The Fliplets sketch was my personal best of the night, but it hit me right in my particular dark sense of humor bone. Papyrus was right up my alley, and is is well-placed in the canon of font criticism. Yesterday I finally caught the last few skits, as well as the close. One thing that I noticed that really really really warmed my heart: new cast members Chris Redd and Heidi Gardner were over on the left-hand side of the screen. Kate McKinnon was with them and as soon as the closing music starts playing you can see her go alllll the way to the right and grab other new guy Luke Null and drag him all the way back over to the left to join in, just so she could point at all three of them. I know that Luke Null got no screen time in this ep and I'm sure he was feeling weird at the end and I think that was the absolute sweetest thing that McKinnon could have done. I already love her but now I love her more.